Corporate Social Responsibility-CSR-is not giving away profit but represents our commitment to contribute to sustainable development. 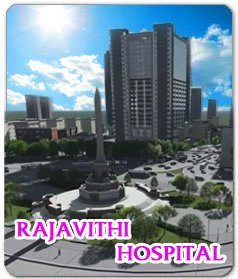 A significant module that falls on Rajavithi Hospital is based on corporate governance, fair operating practices and government relations, especially socially responsible investment. Responsible business strategies and strategic approaches to corporate social responsibility are essential elements of sustained business success with sound CSR skills enabling responsible decisions and optimizing environmental, social and economic performance of organizations. Rajavithi Hospital is committed to a social service orientation : we all share in society making it a better place to live, and to help make life pleasant and peaceful for everyone. Tsunami Disaster Relief Mission, Japan 2010. 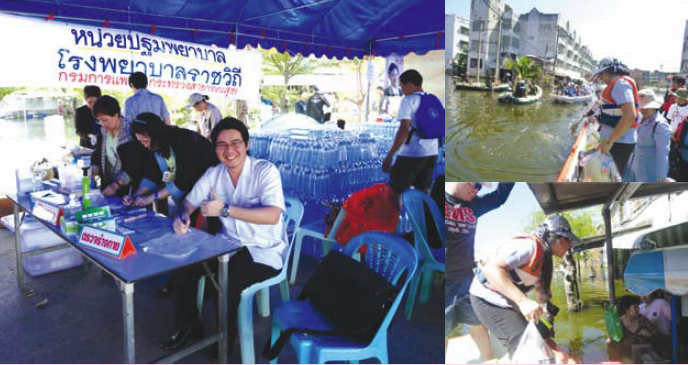 Disaster Relief Mission, Mega Thai Floods 2011.